We are deeply saddened by the untimely passing of Afeni Shakur. Afeni embodied strength, resilience, wisdom, and love. She was a pioneer for social change and was committed to building a more peaceful world. An outspoken and eloquent advocate for today’s youth, Afeni founded the Tupac Amaru Shakur Foundation to instill a sense of freedom of expression and education through the arts. 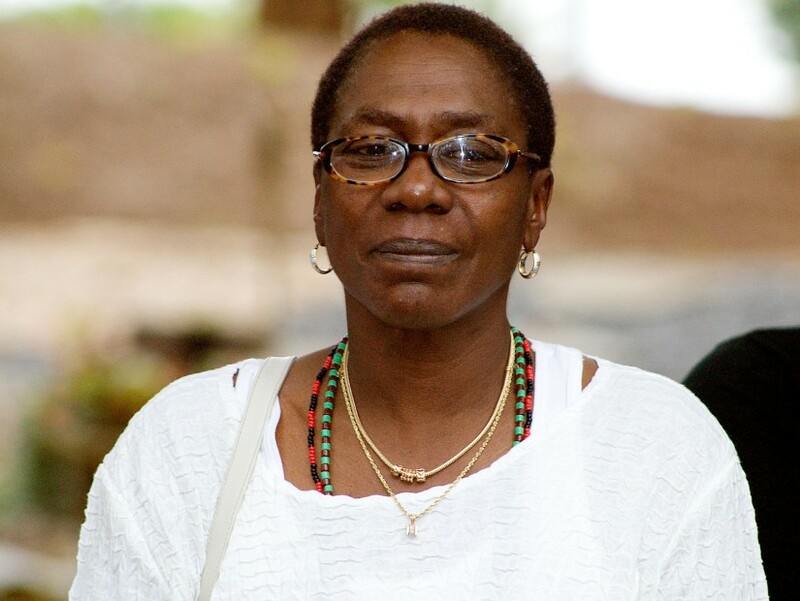 Afeni was a deeply devoted mother, grandmother and sister. Her spirit will forever inspire all of those who had the honor and privilege of knowing her. The family has received numerous inquiries on ways to honor the memory of Afeni Shakur. What would have pleased Afeni the most would be a donation in any amount to the Tupac Amaru Shakur Foundation, the foundation she created to carry forward Tupac’s vision of inspiring young people to excel in life through the arts. ‘The State Department has not been able to locate emails sent and received by IT staffer Bryan Pagliano during Hillary Clinton’s tenure as Secretary of State, according to a filing by the Republican National Committee, which is suing the Department for those records. Pagliano has come under scrutiny over the past year for his role in setting up Clinton’s private email server — the existence of which has outraged Clinton’s critics and led to allegations she mishandled government information. Pagliano refused to answer questions about the server when interviewed by a congressional committee last year, but accepted an immunity offer from the Justice Department in March. Since then, Pagliano has been interviewed by the FBI, which is investigating Clinton’s use of the private server. The State Department first acknowledged the missing emails in December. On Monday, a State Department spokeswoman confirmed the emails are still missing. “We are continuing to search for Mr. Pagliano’s e-mails which the Department may have otherwise retained,” said Elizabeth Trudeau, Director of the Office of Press Relations, adding that employees are responsible for archiving their official emails under the Federal Records Act. The Clinton campaign did not respond to request for comment Monday. The State Department has located emails Pagliano sent after Clinton left her position in February 2013, Trudeau noted. “To be clear, the Department does have records related to Mr. Pagliano and we are working with Congress and FOIA requesters to provide relevant material,” Trudeau said. While the State Department has not been able to located Pagliano’s emails, they have found emails sent by Pagliano to other State Department employees and archived by them. These have surfaced in similar Freedom of Information Act lawsuits, including one by The Daily Caller, which subsequently posted excerpts of the emails. If You Support Trump Don't Buy My Music Says T.I. The man behind a deadly armored car heist in Rockland is now free.